At the heart of any divorce are Washington State’s family laws and the Washington divorce laws that govern the proceedings. Divorce laws in Washington can be challenging to understand, and they are always subject to changes over time. Washington State divorce law allows judges to make decisions for couples seeking divorce, using their knowledge combined with their experience and instincts. However, in most instances people prefer to make their own choices regarding their future rather than leaving those decisions up to a family law judge. Only you can truly know what’s best for you and your family, and our divorce attorneys all believe that you should be able to make your own choices regarding your life. Our experience with Washington divorce law is used to help clients achieve their own set of goals. This is how we build a relationship based on trust with our Washington clients, and work toward resolving their case through negotiations when possible, or in family court. If you are in the initial stages of a divorce one of our experienced lawyers can help you better understand Washington State divorce laws and how they will play a role in your proceedings. If you have questions about how much money you will pay in child support, or wonder when your divorce will be finalized, our divorce attorneys can start providing you with some answers. With over 30 years of collective experience, our team of legal professionals will help you protect your legal rights according to Washington divorce laws. Negotiating a divorce can put a lot of stress on you and your family. Part of the emotional strain comes from having to deal with Washington State’s family laws, the family courts, judges, your ex-spouse and other unforeseen legalities. Our attorneys assist you by providing guidance based on family law, and helping you determine which type of divorce best suits you, according to these laws. Washington State divorce law applies to numerous important issues that your attorney will help you navigate. Their role is to get you the best result they can by ascertaining your goals, consulting Washington’s divorce laws, negotiating with your ex-spouse and their attorney, or if necessary, taking your case to court. Washington’s divorce laws can overwhelm you, so act now to protect your interests with assistance from one of our helpful divorce lawyers. If you would like a risk-free confidential consultation you can contact us today and talk to one of our lawyers with no monetary obligation. You can ask questions, get answers, and then make a decision about legal representation based on accurate information. 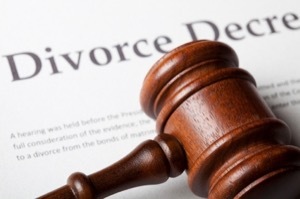 We want to earn your trust and help you get a better understand Washington’s divorce laws.